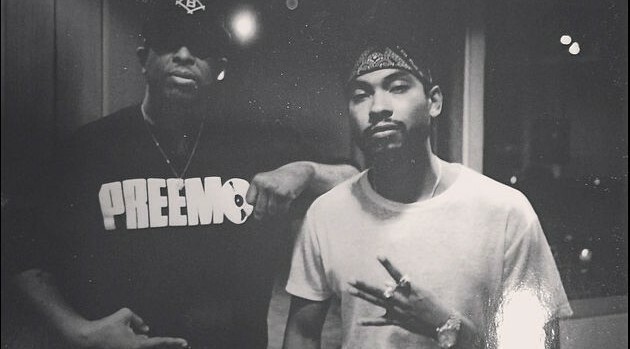 Courtesy Miguel Via InstagramAfter recently logging studio time with Jessie Ware and J. Cole, Miguel has tapped the legendary DJ Premier for the follow-up to his breakout 2012 album Kaleidoscope Dream. The crooner revealed the news by posting to Instagram a black-and-white picture of himself standing next to the producer, who has worked with everyone from The Notorious B.I.G. to Christina Aguilera. So what are the two cooking up? Miguel teased the collaboration with a brief video, in which he’s sitting next to Premier on a couch, playing his guitar while the track plays in the background. “Honored work w you Big Bro @djpremier #livinglegend #artgang #artdealerchic,” the crooner wrote in the accompanying caption. Miguel’s third studio effort is expected to arrive later this year.